Cliveden, the iconic 17th century stately home, and now one of the world’s finest luxury hotels, has been named at the UK’s top Holiday Hotel in the Condé Nast Traveller ‘Readers’ Travel Awards 2017’, the announcement was made on Monday 4th September at the prestigious awards ceremony held at the Ham Yard Hotel in London. With a winning score of 83.86, Cliveden overtook rivals, including Soho Farmhouse, Coworth Park, Gleneagles, Babington House, Limewood and The Pig, and nudged ahead of its sister property, Chewton Glen, who was runner-up in the UK Hotel Spas category and who came in third-place with a fabulous score of 83.67 in the listed for the best UK Holiday Hotel. Hosted by Editor, Melinda Stevens and Publishing Director Simon Leadsford the Condé Nast Traveller’s Readers’ Travel Awards 2017, celebrate the most incredible travel experiences, as voted for by people who go to the ends of the earth to find them. Readers were asked to vote for things they loved most about travel: their favourite cities, islands, ski resorts, top hotels and spas, cruise lines and tour operators and their ratings were then analysed to provide the very best travel experiences in the world. 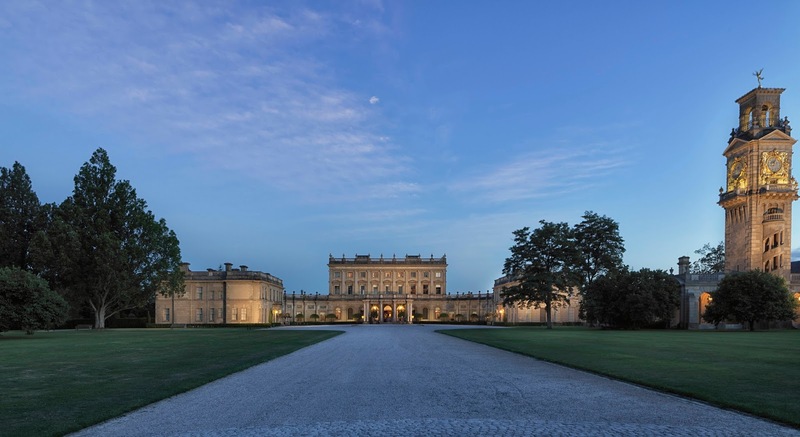 'This is a fabulous achievement, I am not only immensely proud of the team at Cliveden, but acknowledge that this award is testament to the vision and generosity of our owners, whose tremendous energy and enthusiasm has enabled this restoration project to have been undertaken bringing this remarkable property back to its former splendour. 'Historically, Cliveden was probably the most renowned hotel outside London and to have achieved this wonderful award from Condé Nast Traveller, reinforces the message that Cliveden is well and truly back on the map. Other recent accolades include being placed on The Platinum List 2017, as one of the Best Country House Hotels; being voted the most ‘Romantic Hotel’ in the 2017 Good Hotel Guide; the eponymous André Garrett Restaurant being included in the Top 20 restaurants in the latest Waitrose Good Food Guide 2018; and Cliveden being voted the Best Newcomer in the Condé Nast Johansens 2016 Awards for Excellence. 'The opening last month of The Cliveden Spa, marks the completion of the remarkable multi-million pound restoration of Cliveden House, which has seen the total transformation of this iconic luxury country house hotel over the past five years. Honouring the illustrious 350-year history of this remarkable house, The Cliveden Spa has been revamped and has re-opened alongside a brand new state-of-the-art building which links the house to the spa within the walled garden'.